Share these mental health resources to make sure everyone has a helping hand when they need it. KUSA — Everyone needs a little help sometimes. 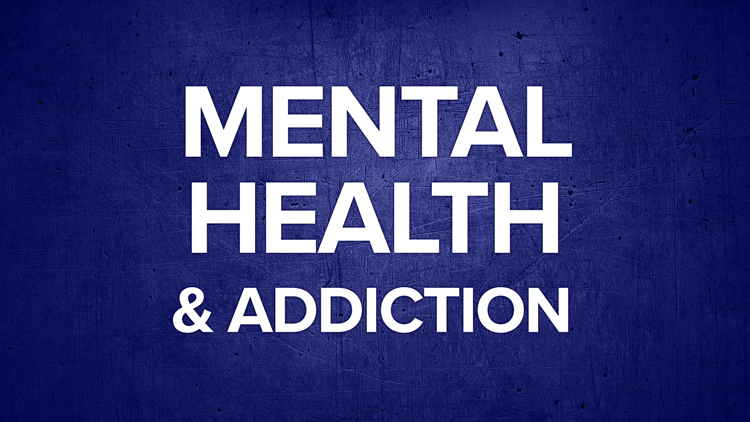 We’ve put together this list of mental health and addiction resources to help you or a loved one receive a helping hand when you need it. There are four ways to get confidential and immediate help: by phone at 1-844-493-8255, over text message (text the word “TALK” to 38255), via an online chat service, or at walk-in centers throughout metro Denver, northern, the southeast region and the western slope. Many of these services are available 24/7. Trained counselors are available to help with relationship problems, depression, bullying, stress, suicidal thoughts, substance abuse, family crisis and more. Safe2Tell allows students, parents and community members to anonymously report anything that is concerning or threatening. According to their website, those who use the service can help stop a friend from committing suicide, get a friend to stop using drugs, or keep a bully from continuing to make other students miserable. Tips can be made by calling 1-877-542-7233. They can also be submitted online, or via the Safe2Tell app. The National Suicide Prevention Lifeline provides free and confidential support for those in crisis 24/7 at 1-800-273-8255. The department offers outpatient counseling for individuals and families; intensive counseling and medication evaluation through a partial hospitalization program; and intensive individual, group and family day outpatient counseling programs. Learn more and schedule an appointment by calling 720-777-6200 or by visiting their website. DU offers counseling services for adults, children, couples, families, etc. at affordable rates. The sessions are provided by graduate student counselors under direct supervision of licensed psychologists and a peer consultation group. Prices range from $5 - $30 per session. This advocacy organization hosts a variety of online mental health screening in both English and Spanish, a mental health toolkit for schools, a page dedicated to the latest mental health research, as well as a variety of events throughout the year. Spark the Change's Pro Bono Mental Health Program connects volunteer therapists, counselors and other professionals with low-income Coloradans who are in need of the help. Call 1-844-380-6355 and if you qualify, you'll be matched with a counselor. Take online mental health screens to see where you're at, research different mental health conditions and treatments, get tips for talking about your mental health, find worksheets for improving your mental health or staying healthy, etc. Find meetings throughout Colorado as well as information about the program and other services and events put on by AA. A division of UCHealth, CeDAR offers 30- to 120-day residential treatment programs, outpatient treatment programs, medically-supervised detox programs, and recovery management. The Substance Abuse Treatment, Education and Prevention Program was established specifically to help teens and young adults from 11 to 24 years of age. It offers a 12-week outpatient program on the campus of Denver Health and in several Denver Public Schools. This treatment center offers outpatient rehab services for teens and young adults struggling with substance abuse and their families. They have locations in Denver, Boulder, Colorado Springs and Cascade. Call 1-800-931-2237 for support, resources or treatment options for you or a loved one. You can also chat online or text "NEDA" to 741741. The National Eating Disorder website has resources on where to find treatment, tips on how to help and options for support. You can find free support groups around Colorado, workshops, classes, information about different eating disorders, mentors and other local resources on the Eating Disorder Foundation website. They also welcome informal drop-in visits for those who just want to talk to someone at their headquarters building in Denver. Dr. Jennifer Gaudiani is a Certified Eating Disorder Specialist and runs an outpatient clinic in Denver where she works with adolescents and adults to work through any complicated food issues. Registered dietitians at UCHealth can help with nutrition screening, individualized consultations, education and support to help make positive and realistic changes to help overcome eating disorders. Contact your physician to get a referral. Learn about the signs and symptoms of an eating disorder, people who are at risk, and some of the options for treatment. You can also download free booklets, videos and research and review and sign up for clinical trials. A community for those who want to stop compulsive gambling. There are free meetings throughout Colorado and Wyoming. You can also call their hotline at 1-855-222-5524. The PGCC has a confidential hotline at 1-800-522-4700, professional counseling and support groups for gamblers and their families. The goal is to increase awareness, provide treatment, research and educate about problem gambling. Gam-Anon is an international organization dedicated to supporting those whose lives have been affected by the gambling problem of someone else. Their website provides tips and answers for those who are in this situation. They also host support group meetings around the state.